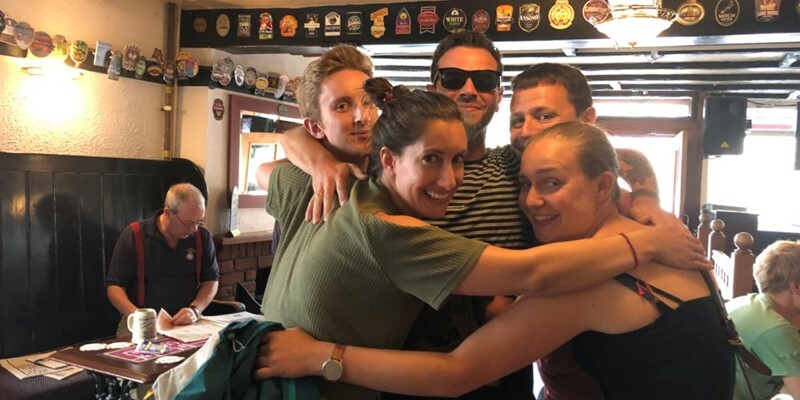 Being a relatively fresh piece of meat in the Gibe office, the honour was bestowed upon me I was bullied into organising the September Gibe social. After a whole 30 seconds of thought, I decided Freedog was the place to go. 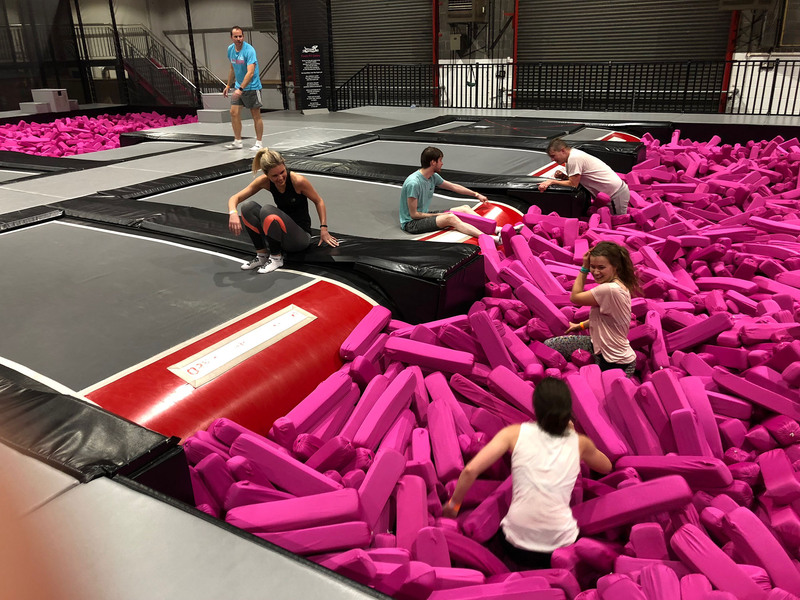 Unfortunately Freedog doesn’t involve dogs in any capacity, rather it is a trampoline park only for those with the freshest of limbs, yet to be tainted by the world. Perhaps none of us were ready for the incredibly graphic non-PG rated safety video as we entered Freedog, or for the constant reminders of potential death upon entering the trampoline park. One rule we did follow very seriously from the safety video was to ‘have fun’. Something we were all very prepared for was the taking in turns to showcase our triple backflip moves to the group. 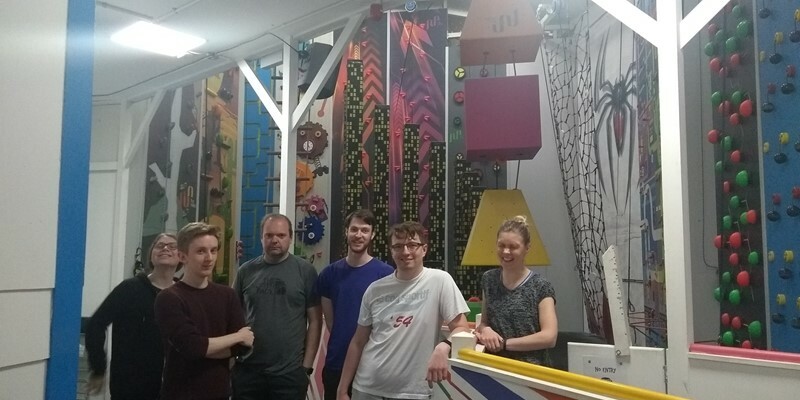 We’re a pretty fit bunch at Gibe, we like to be modest but even more so we like to show off our sweet gainz. We had a go on the dodgeball court where we were mobbed by some children. Cat enjoyed this so much she decided to have her own game against the kids. At one point the evening took a turn as we decided to show Sophie our affection by burying her in a pit of foam. After this hour of bouncy fun we headed to the lovely Victoria Park pub in Bedminster. For the rest of the evening, lots of pizza was consumed and we all took home some very important life lessons. The first was just exactly how much Cat likes pizza. The second was the disappointing reality that backflips/jumping/life in general is more difficult on floors which are not trampolines. More importantly we all took home a pair of socks with doggos on the bottom.